Turn EMF to TIFF raster images online and without registration! 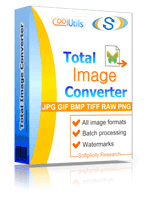 Try a EMF to TIFF Online Converter or buy a batch Tool for quick use! Description EMF (Enhanced Metafile) is a spool image file format, which is configured for 32-bit OSs. This device-independent format is supported by a number of Windows-based applications. If you take a snapshot and save it in this format, its dimensions will remain unchanged in any device. EMF files consist of so called records, which reflect dimensions, initial resolution, metafile’s bulk, GDI (graphics device interface) functions, etc. EMF descended from the 16-bit WMF.